What’s up in the Heughliverse? March 23, 2015 March 23, 2015 / Heidi B. In July of this year, we’ll be celebrating our two year anniversary of Heughan’s Heughligans. In the almost two years since we began, we have grown from a group of roughly a couple hundred, to a Facebook group of 11,600+, and with a Twitter following of nearly 24,000. We have currently raised $29,342 for Leukaemia & Lymphoma Research (Sam’s chosen charity) and $5,841 for Youth Theatre Arts Scotland (for whom, Sam is a patron), and countless other amounts for other charities associated with Sam and Outlander. 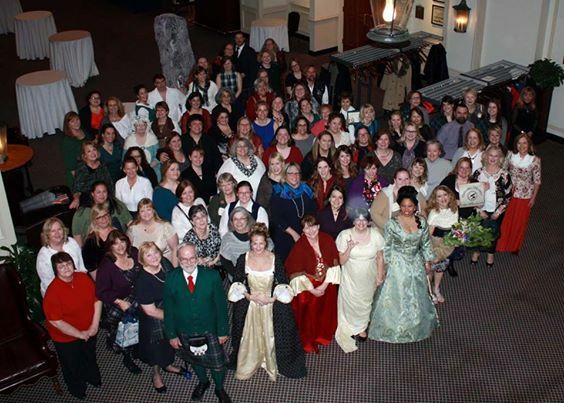 We recently, in collaboration with Outlander Odysseys, raised over $7,000 (for YTAS) during our gathering at Colonial Williamsburg the weekend of March 6-8…which we anticipate becoming a yearly event. So, you see we’ve been busy! But, we’re not done yet! We have some more exciting events coming soon. Watch this space for info on our 2nd annual Dram 4 Sam event, taking place on Sam’s birthday, April 30th. Look for pictures of our Colonial Williamsburg gathering, as well as some first hand pics of the 2nd half season premiere of Outlander happening on April 1st in NYC. We also have a few surprises planned for along the way and look forward to sharing those with you soon. In the meantime, Heughligan-on! Thank you! Glad you found us! Greetings from Ohio! I’m bored to tears at work so I decided to check out your site on my iphone during lunch break. 3G .. Anyhow, great blog! Yes! Absolutely! During the Dram 4 Sam event, all donations go to Sam’s charities. Look for info in the next couple of days with more information, and thank you so very much for donating.